‘Downslope’ was written by Stanley Kubrick and based on a true story by Civil War historian Shelby Foote. This will be a TV movie of an epic Civil War drama following the activities of Confederate Army Colonel John S. Mosby and his plot to settle the score after Custer captures and hangs several of his men. 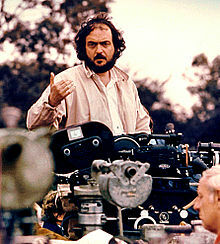 ‘God Fearing Man’ will be the mini-series and was also written by Kubrick, but adapted by Stephen R. Clarke. I think ‘God Fearing Man’ was going to be a feature film, if Kubrick ever got around to it. ‘God Fearing Man’ tells the true story of Canadian minister Herbert Emerson Wilson who became one of the best safe-crackers and most successful bank robbers in America in the early 20thcentury. ‘Downslope’ was originally intended to be a $100 million dollar feature film, where ‘God Fearing Man’ is being budgeted at around $12 million. This is good news. I can’t wait to see more of Kubrick’s projects developed. This entry was posted on Wednesday, August 29th, 2012 at 12:12 pm	and is filed under Film, News, Television. You can follow any responses to this entry through the RSS 2.0 feed. You can skip to the end and leave a response. Pinging is currently not allowed. « Boomstick Comics Turns 2 This Friday and I Have ‘Boardwalk Empire: Season 2’ To Give Away!!! Look, Doc, I spent last Tuesday watching fibers on my carpet. And the whole time I was watching my carpet, I was worrying that I, I might vomit. And the whole time, I was thinking, "I'm a grown man. I should know what goes on my head." And the more I thought about it... the more I realized that I should just blow my brains out and end it all. But then I thought, well, if I thought more about blowing my brains out... I start worrying about what that was going to do to my goddamn carpet. Okay, so, ah-he, that was a GOOD day, Doc. And, and I just want you to give me some pills and let me get on with my life.